Simon's Cat has become a global phenomenon. Star of thirty-nine films, which have been watched over 600 million times, and winner of a dozen major industry awards, Simon's Cat has captured the hearts of a worldwide audience. 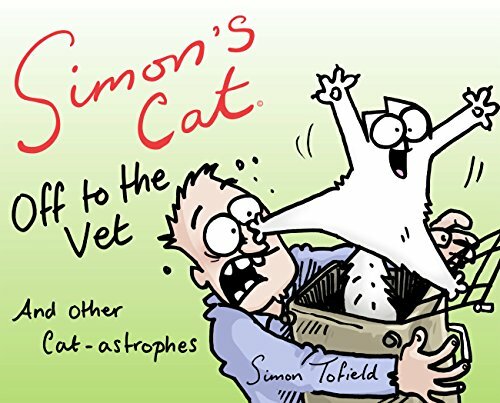 Now, Simon's Cat must face any feline's most dreaded scenario - he's off to the vet. And he's not at all happy about it. Sharing its theme with the first ever full colour Simon's Cat feature animation, funded by a record-breaking IndieGoGo campaign, Simon's Cat: Off to the Vet is packed with over 240 pages of hilarious gags featuring our favourite furry friend and his companions - both old and new.